Mac user who also enjoy keeping abreast of things on Twitter will be pleased to learn that the latest TweetDeck 3 for Mac software is now available from the Mac App Store for free. 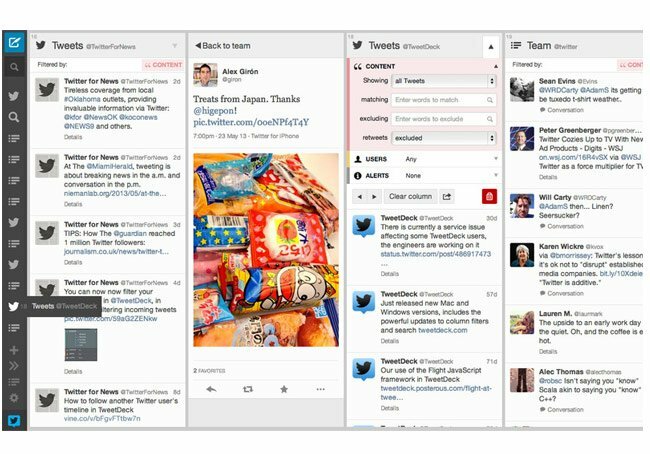 The TweetDeck of Mac application has been designed to provide publishers, marketers and power users an easier way to track the real-time conversations making news on Twitter. TweetDeck 3 now sports a new user interface and a flexible customisable layout that lets you join the conversation by tweeting, sharing photos and links to news stories, and more directly from the new app. TweetDeck 3 has already been launched on Windows, Chrome and web apps and comes with a new translation features together with a new option that allows you to add a ” Followers” column to your TweetDeck 3 desktop.